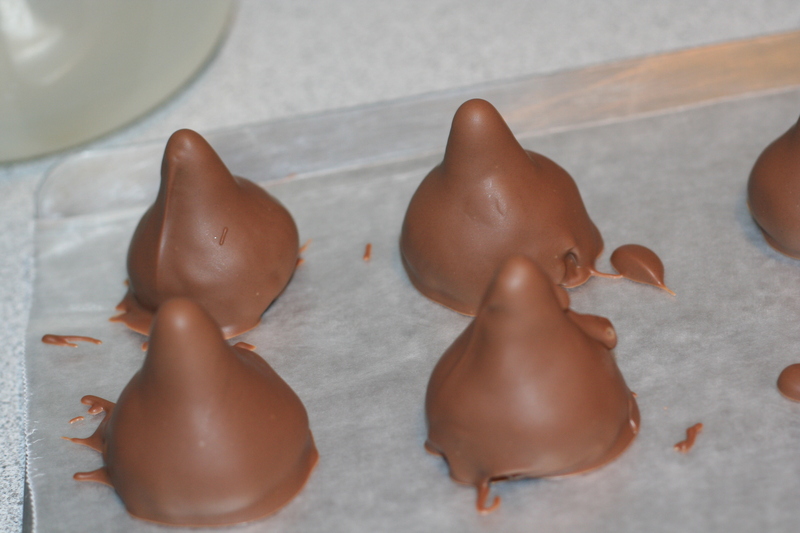 Valentine’s Day is a fun time to bake small desserts to give away as gifts. 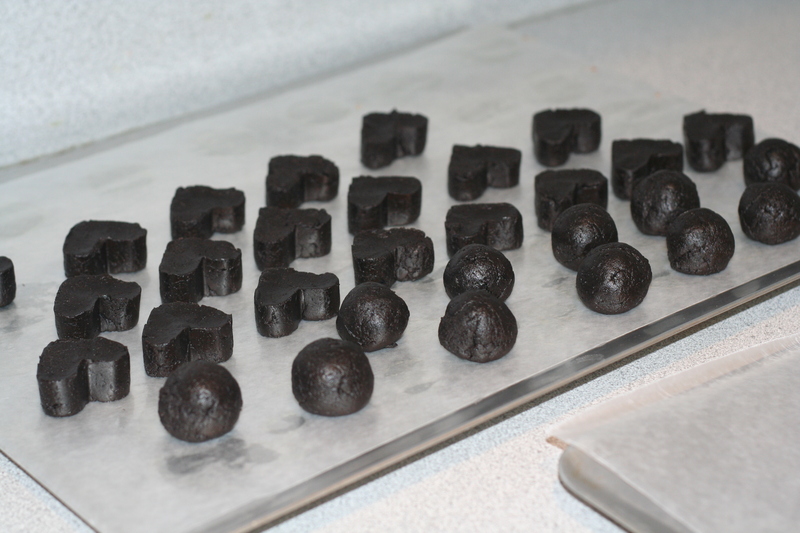 I decided to make Oreo truffles in a few different shapes. 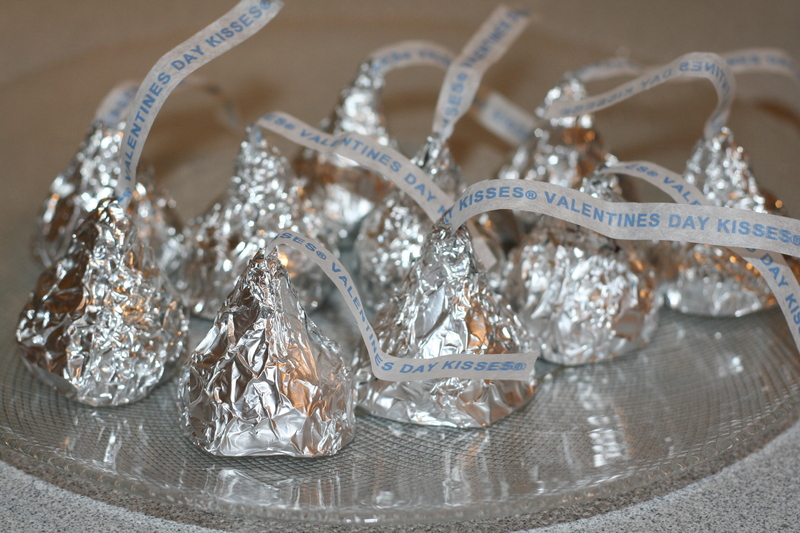 I shaped some as Hershey Kisses and wrapped them in foil. 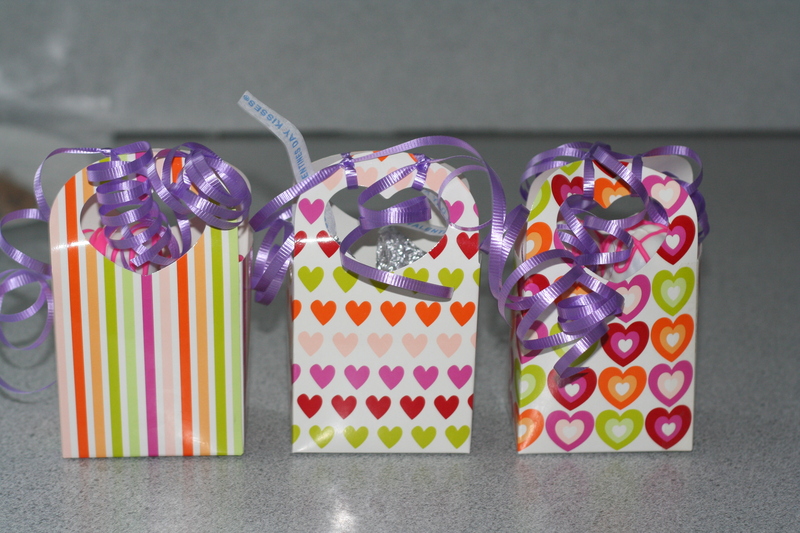 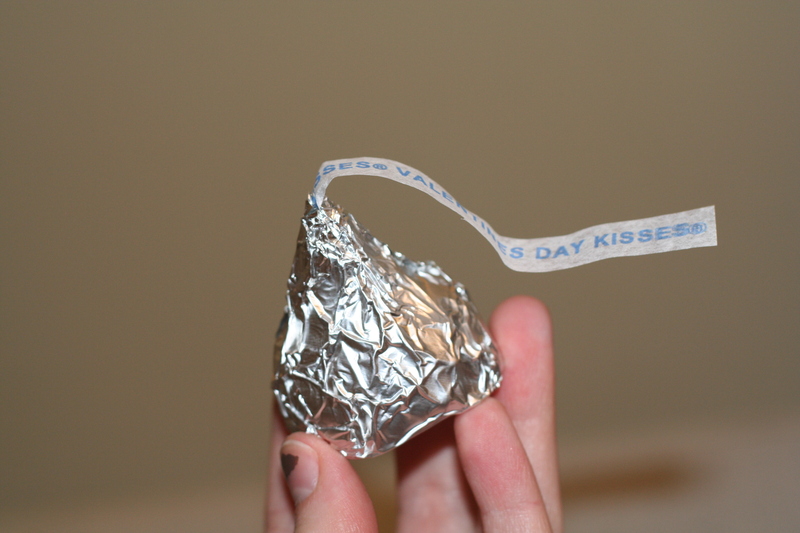 I also printed messages on tissue paper to resemble real Hershey Kisses. 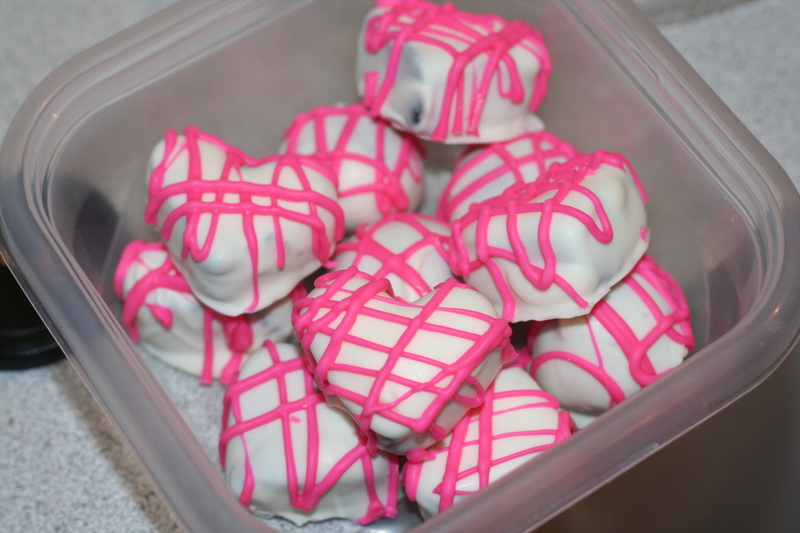 In addition, I made normal Oreo truffles that were both round and heart shaped.